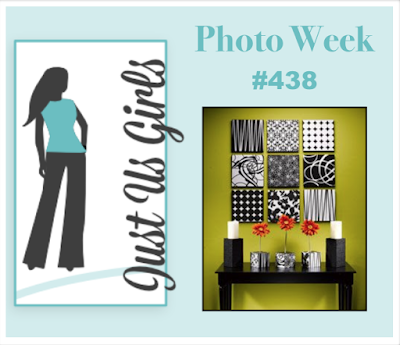 I LOVE the photo inspiration at Just Us Girls this week and knew what I was going to do right away. 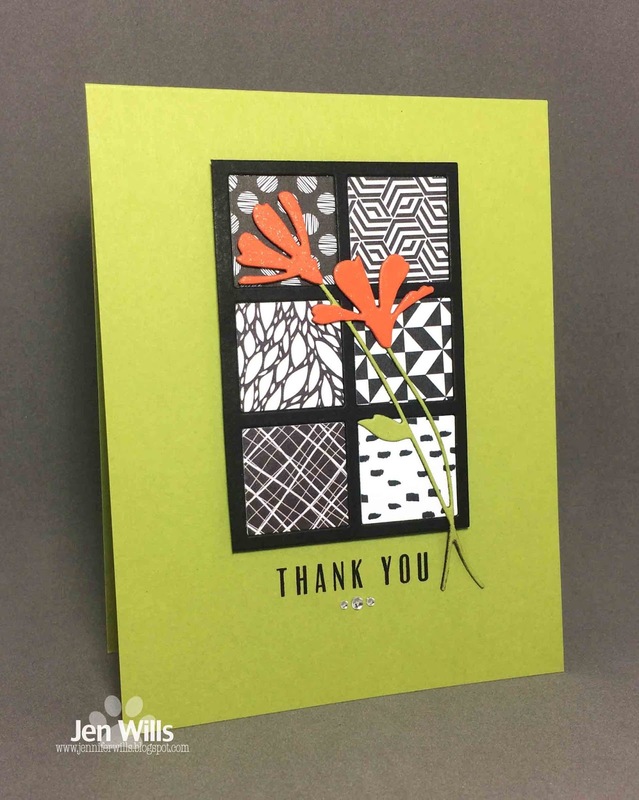 The "window" die cut is from Mama Elephant and I filled it with assorted papers from Reverse Confetti. 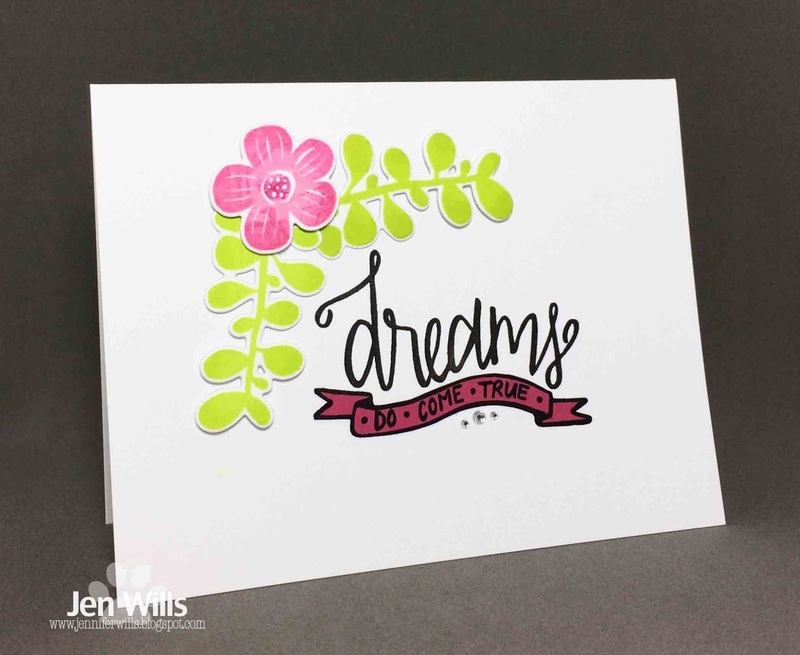 The Simon Says Stamp flower is paper pieced with cardstock and the sentiment is from Altenew. Usually I fuss around with the design and layout of a card for AGES so I love it when a card quickly comes together just as I imagined it. I've got one more card to share today - this one for the current Muse challenge. I pulled out some real oldie goldies for this card. 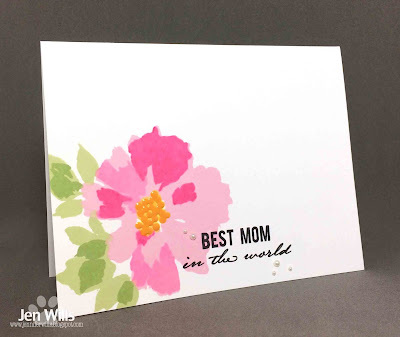 The flower frame image is from Hero Arts and I've had it since waaaay back when I started crafting. 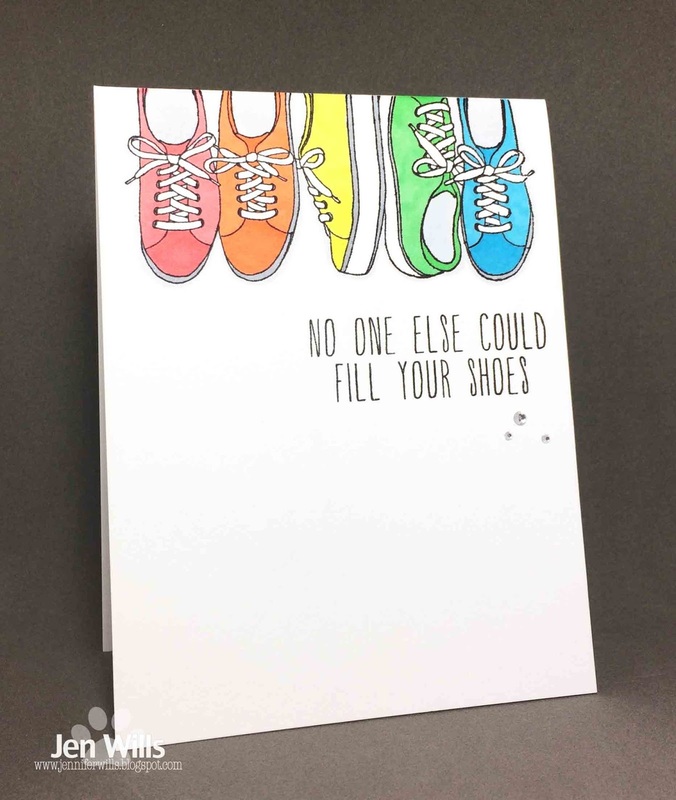 The sentiment is from Papertrey Ink - remember the Think Big Favourites series? Feels good to show a bit of love to some old neglected stamps. I paper pieced the flowers and leaves and added some black Nuvo drops and some gems. I've got cards for two different sketch challenges today. 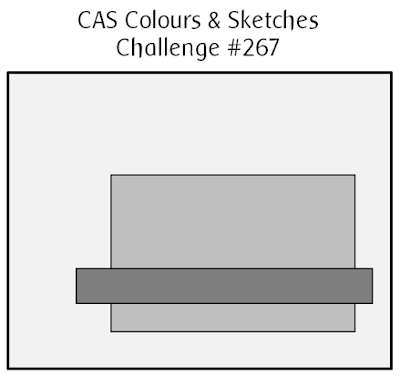 First up is for CAS Colours and Sketches. 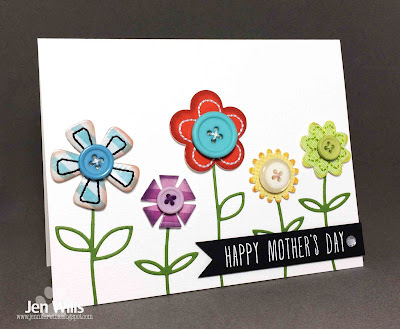 Simon Says has a few of these "Stacked" dies (stars, flowers, diamonds) and I love them all! 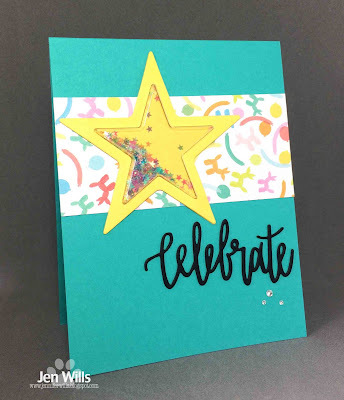 For these stars I inked up some card stock with Distress inks and then die cut them from it. 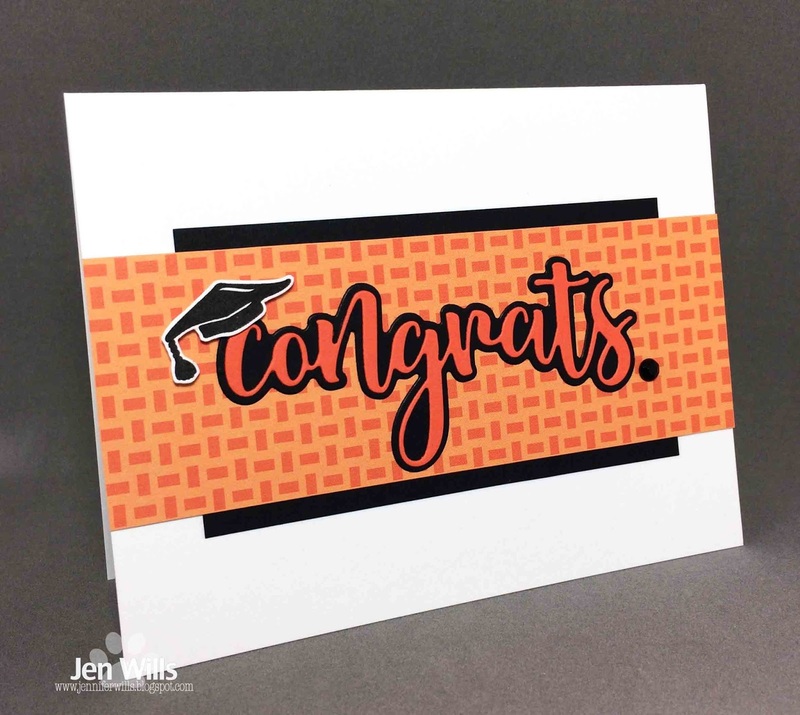 The sentiment is from an awesome graduation set from Lil' Inker. 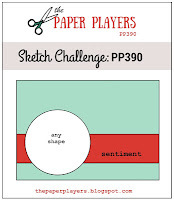 Next up is a card for Freshly Made Sketches. 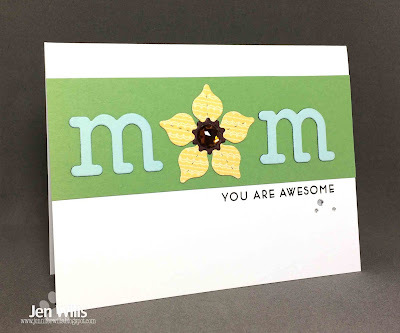 I love these layered sentiment dies. A lot of companies are doing them now but this one is from Honey Bee who I think did some of the first. 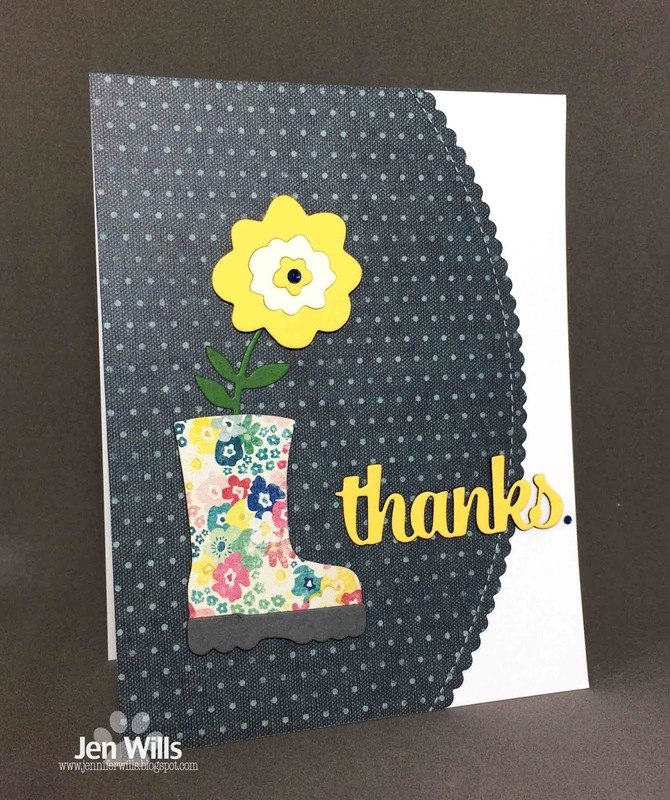 The cap is from the same Lil' Inkers set as the sentiment on the first card. Popping in quickly with a card for the very last Sketch for You to Try at Reverse Confetti. 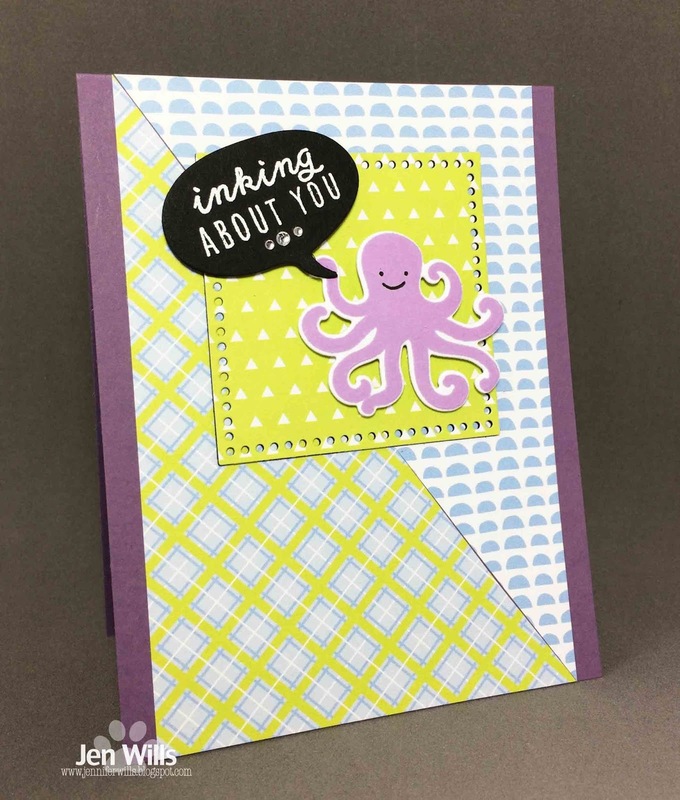 I went a little crazy with the RC patterned papers but it was fun and I love that little octopus and his perfectly punny sentiment! 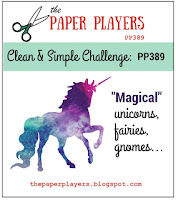 I've got a card for three challenges today - The Paper Players (sketch), Simon Says Stamp Wednesday challenge (Anything Goes) and Addicted to Stamps and More (CAS). 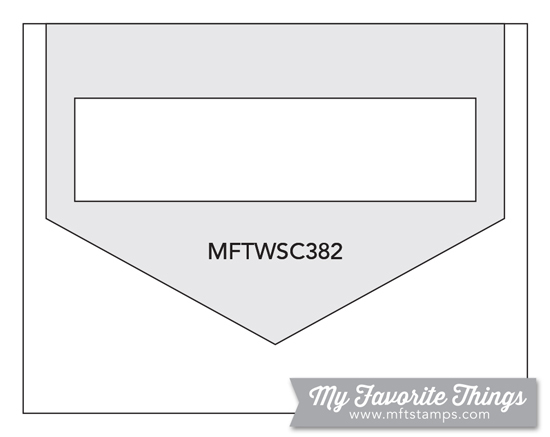 How cute is this sassy little MFT poodle? 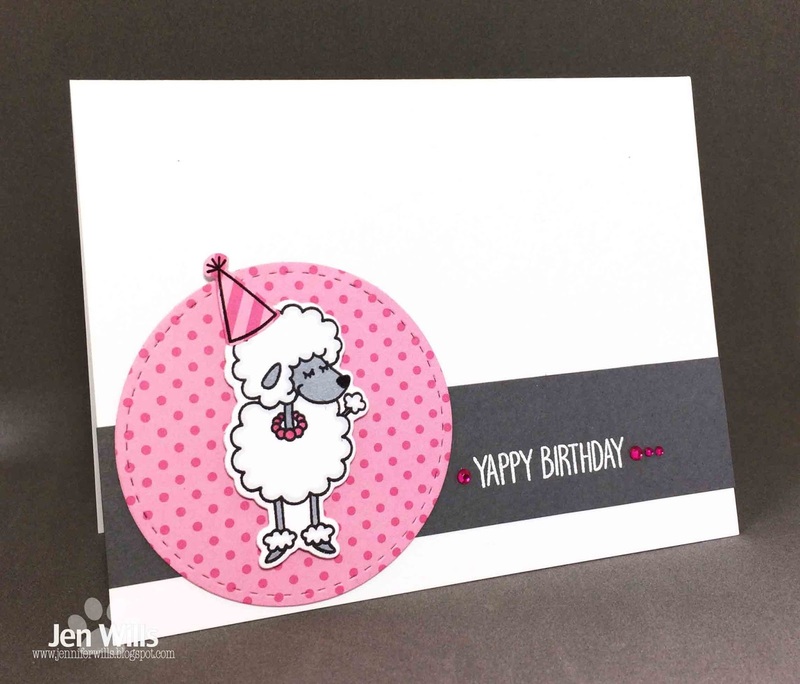 I had to surround her with pink - no other colour seemed right for her - and I think she looks pretty pleased about it! I realize there are plenty of different activity related shoes out there - hiking boots, riding boots, flippers, golf shoes, etc - but for me, most of my active pursuits need nothing more than a pair of sneakers. As a kid I was pretty boring and only ever wore plain black or white sneakers. They could not have ANY colour on them. These days I have a bit more fun - purple running shoes and turquoise Converse are more my thing. Entering my second childhood maybe? This is one of the other cards I managed to make over the weekend. 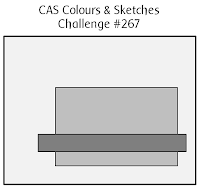 It's for the CAS Colours & Sketches colour challenge. 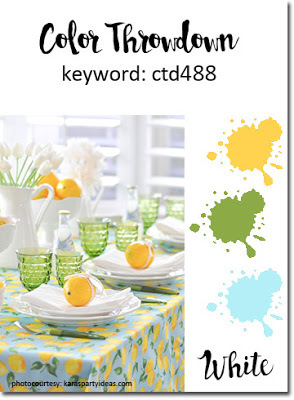 I love this colour combo - bright and cheery and perfect for spring! 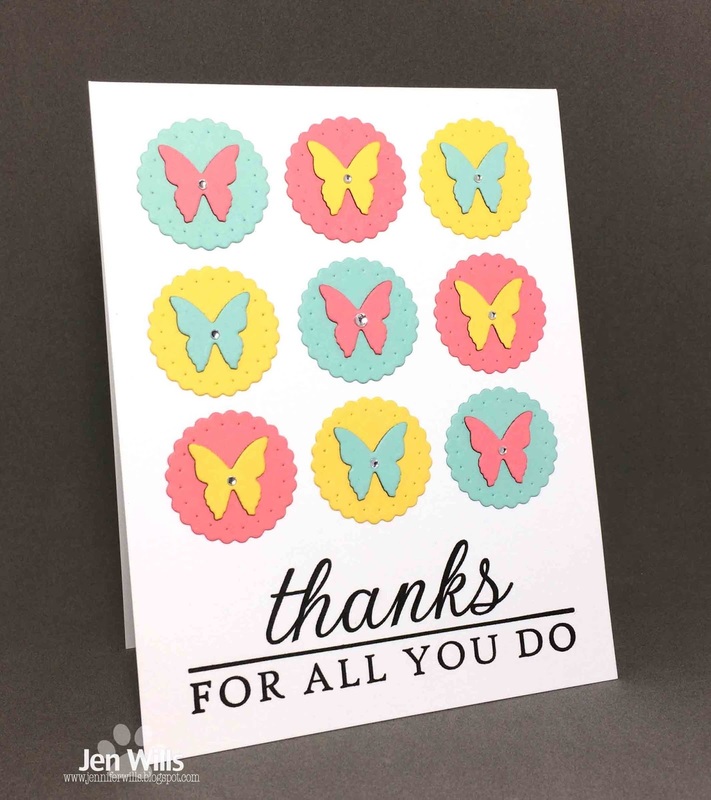 The circles and butterflies are from a Winnie & Walter die set and the sentiment is an oldie but goodie from Papertrey Ink. Another weekend is almost over and I didn't get as much time in the craft room as I would have liked - too much adulting to be done I'm afraid! 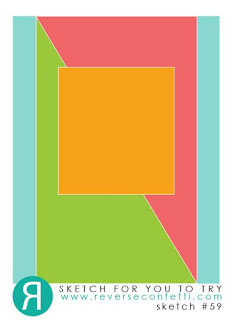 I did manage to make a couple of cards and I'll share the other one tomorrow. 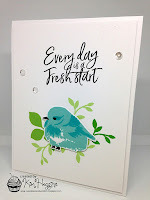 For today I have an entry for Freshly Made Sketches using a Winnie & Walter scalloped rectangle and Papertrey butterflies and sentiment. I've been using a lot of this DCWV glitter paper lately and I might actually run out of it. What a calamity!!! 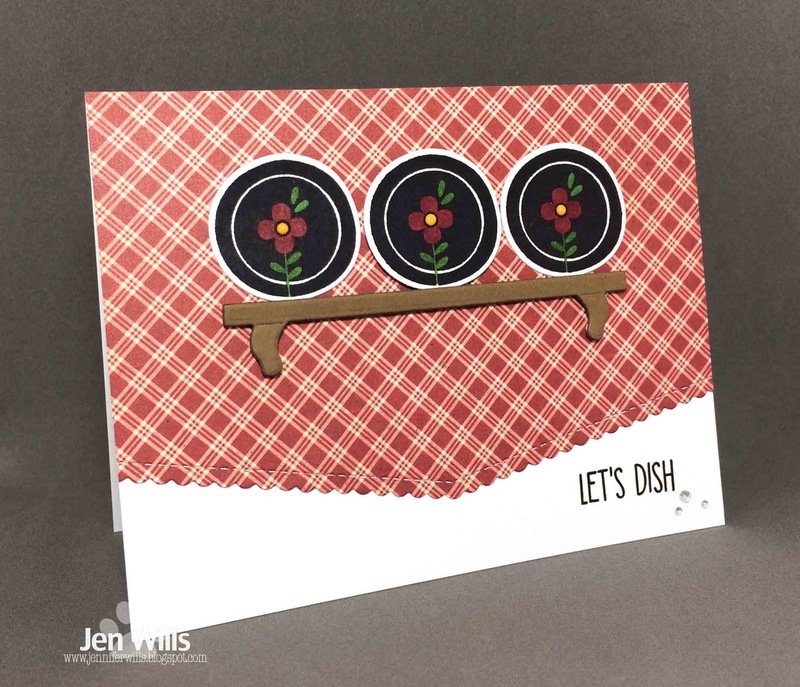 This is my third card for the April Paper Smooches challenge and it's definitely my favourite. 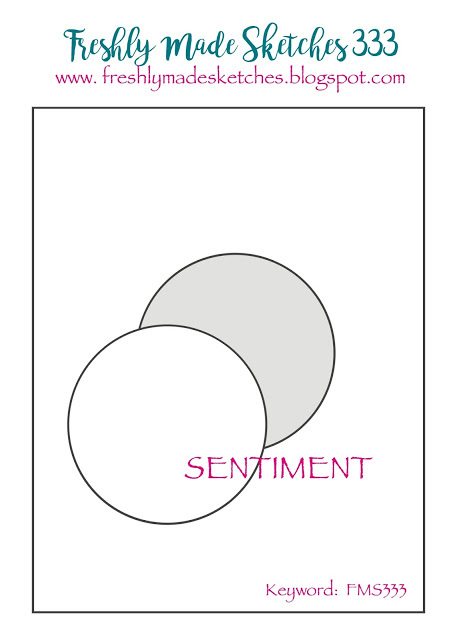 (Apologies to the other two cards). 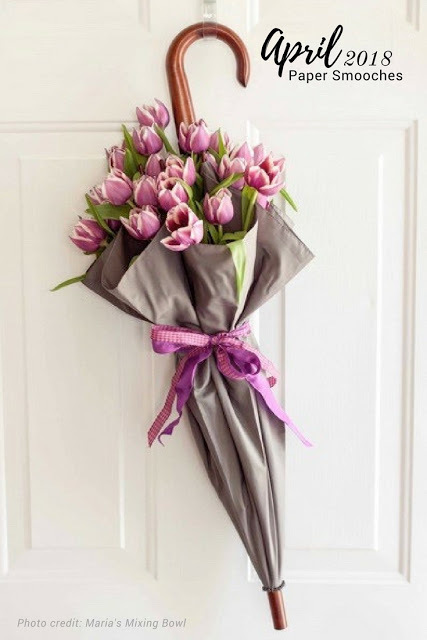 Instead of making an umbrella vase like in the photo I went for a boot vase. That PS boot die is so cute and was screaming to be cut from some flowery paper. 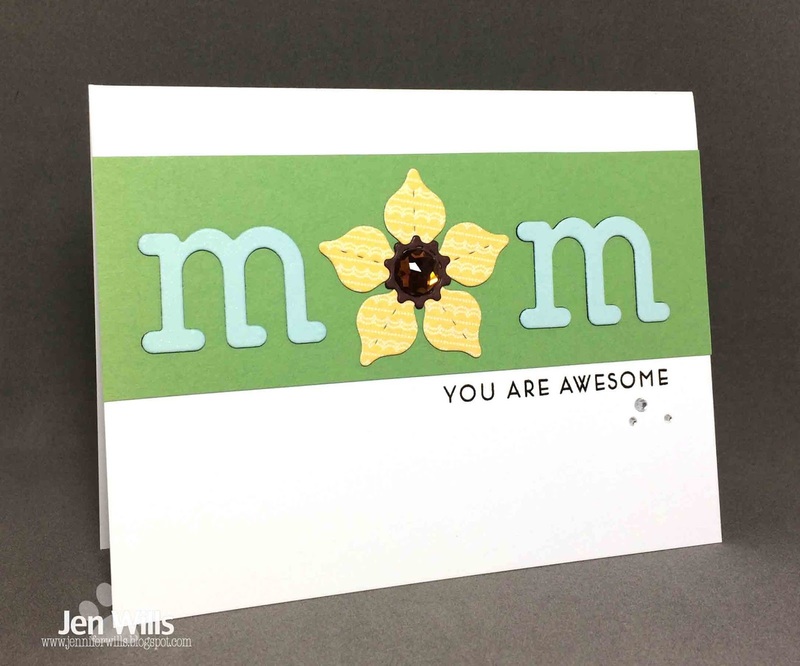 It's layered a few times for dimension (as is the sentiment) and the flower is popped up on foam tape. Thank you to Kim Heggins whose Muse card made me finally break out these adorable WPlus9 birdies. They are definitely going to see more ink!. I used Altenew inks for this card. I find myself reaching for them more and more. I love how the ink cubes come in little ombre sets - makes life so easy! Hiya! I've got a card for the Paper Players magical challenge. 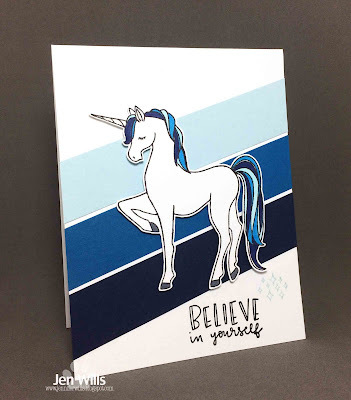 There are so many fun unicorn images out there at the moment from classic to cute to chubby. I went with this Concord & 9th unicorn - a more classic look. Most of my past unicorn cards have involved a rainbow so I tried to get away from that this time and went ombre instead. I've got two cards to share today. 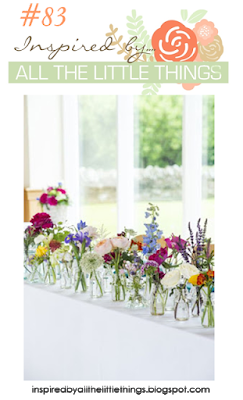 First up is for Inspired by All the Little Things. I was doing some tidying in my craft room and found these ancient Sassafrass flower stickers. 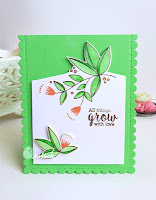 I put them together with some die cut Paper Smooches stems and an Essentials by Ellen sentiment. 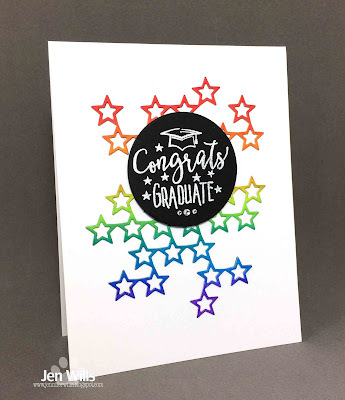 Quick and easy but colorful and fun. 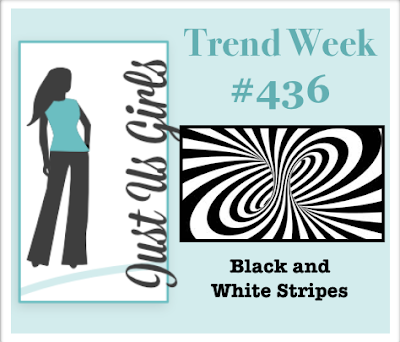 Next up is for the Just Us Girls black and white stripes challenge. I initially tried making white stripes on black cardstock using embossing paste but it all went horribly wrong so I went back to the drawing board. 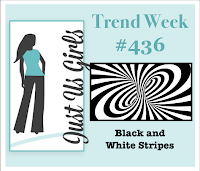 I wanted broad stripes but only found skinny stripes in my patterned paper collection. 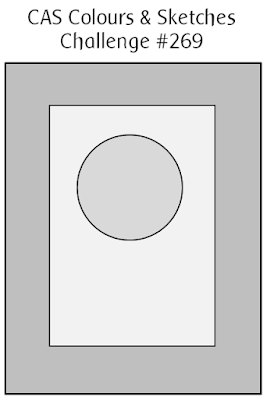 I finally just trimmed pieces of black and white cardstock and die cut them with a stitched square to create the little panel. The PTI butterfly is cut from hot pink DCWV glitter paper. I've got three challenge cards to share today. First up is for The Colour Throwdown using a mixture of different companies. 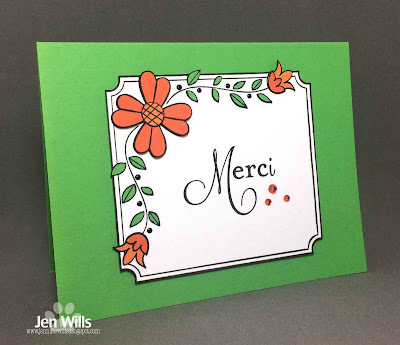 The flower is Lil' Inker, the die cut letters are Lawn Fawn and the sentiment is Altenew. I love it when they all play nicely together! Next up is a card for CAS Colour and Sketches. While perusing my patterned papers I came across this script design from Kaisercraft and it sparked the idea for the card. 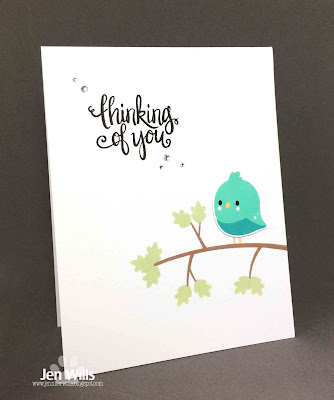 The pen and sentiment are from Papertrey Ink. 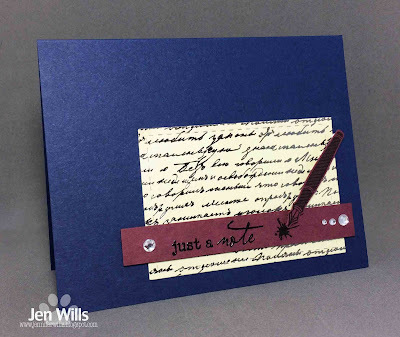 Last but not least is a card for the Just Add Ink shaker card challenge. I don't make shaker cards very often but I recently got some of these shaped shaker makers from MFT and they sure make the whole process a lot easier! The sentiment is a Neat & Tangled die and the paper is by Pebbles. I've got a couple of challenge cards to share today. 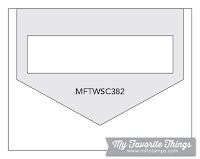 First up is for Freshly Made Sketches. I finally broke out these Essentials by Ellen stamps and did some layered stamping to get some shading on the mushroom. The sentiment is hard to read but it's a worthy pun - Thank you so mush! Love it! 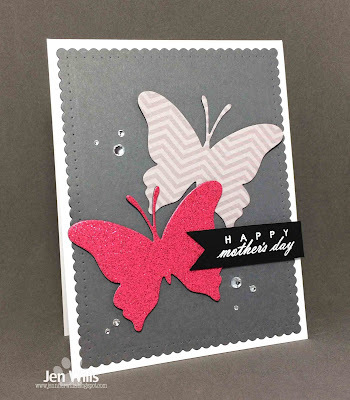 The paper is ancient Basic Grey paper and I added a few little Crystal Drops as accents. 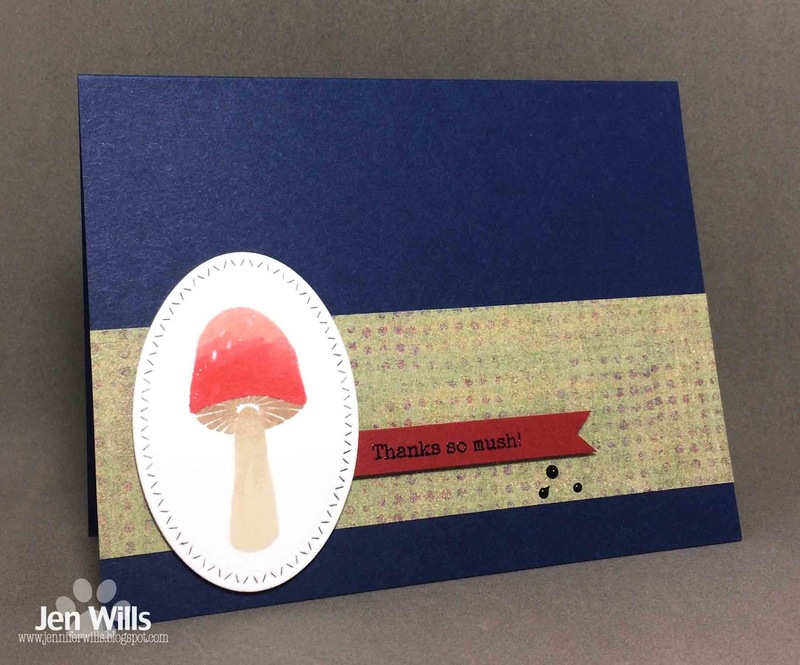 Next is a card inspired by Tracey's gorgeous design at Muse. The flower and leaves are from the same EBE set as above and I paired them with a Neat & Tangled sentiment. I paper pieced the banner part of the sentiment to make it pop a bit more.